For centuries, our ancestors had mixed ground grain with water to make porridge, until one day it was accidentally tipped onto a hot stone. The porridge became firm; it tasted better and could be stored and transported. Bread had been invented, and its creator’s name was “chance”. It still took a few thousand years, however, until man had mastered the art of baking bread, some 5000 years ago. The ancient Egyptians were the first to systematically cultivate grain; their settled lifestyle allowed for the construction of ovens, and their inventiveness the cultivation of yeast. Besides unleavened bread, it became possible to bake leavened bread at any time. The Romans combined the Egyptian sophistication with efficiency by building mills, kneading machines and large bakeries – everything they needed to supply enough bread to the games and their legions, who baked their own bread on the road, so that they did not come to a halt. In their wake, the art of bread baking crossed the Alps, local cereals were used, and every town, every small state developed its own bread varieties, which meant that the bread diversity in Central Europe was far greater than in the Mediterranean. White bread dominated the Mediterranean region, but north of the Alps, until the 19th century, it was reserved for special occasions. The bread of the rich. Nowadays bakers print their logos onto labels or paper bags. In earlier times, due to a lack of alternatives, they were simply stamped directly onto the bread. Because bread was often baked communally, the stamps also served to identify the owner. 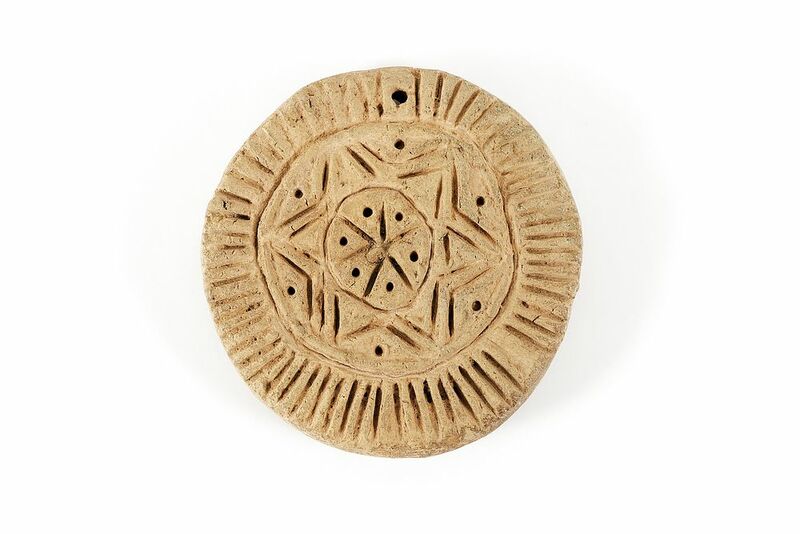 It is no longer certain whether the rays, the round bread roll and the star on this clay bread stamp from 7th century Byzantium represented the baker or the customer. When grain is ground, bran remains. 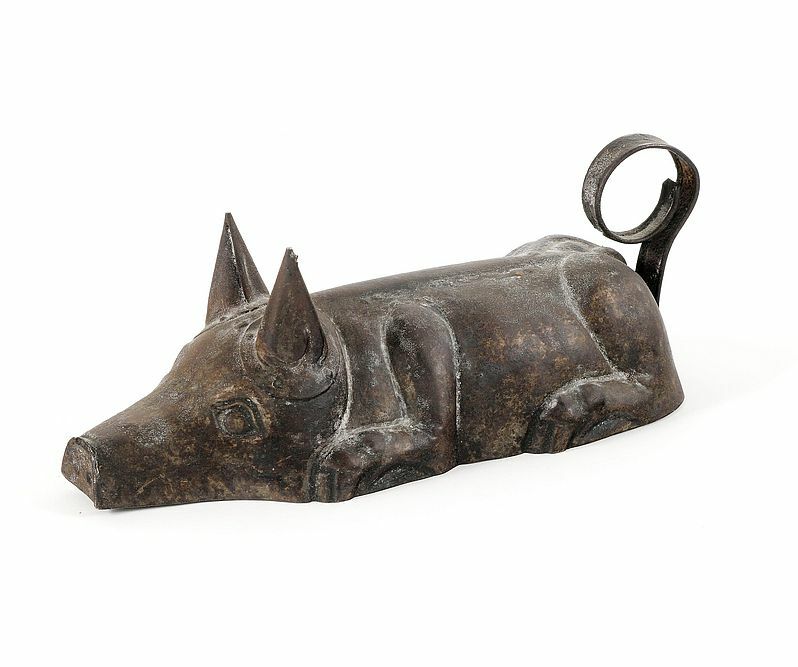 During the grinding process, the waste product, which was worthless to the miller, trickled from the wideopen mouth of the “bran gargoyle” – a kind of guardian spirit of the mill – into a sack ready for the pigs (or even the servants). Mesopotamia is considered to be the cradle of agriculture; the “land between two rivers” was the most fertile land in the world. 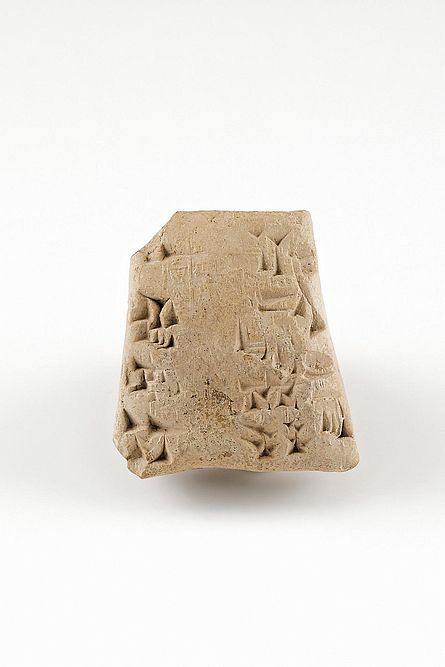 In order to keep track of their two harvests a year, the Babylonians attached clay tags like this to their flour sacks. Cuneiform writing noted the type of flour (the Babylonians knew five), the weight and the year of King Sumu-la- El in which the bag was filled. This is how we know that this clay tag comes from the year 1877 BC. Over the millennia, the simplest tools had to suffice to bring in the harvest, and thus ensure survival. Testimony to this is the Neolithic grain sickle, which probably originates from Egypt’s al-Fayyum. 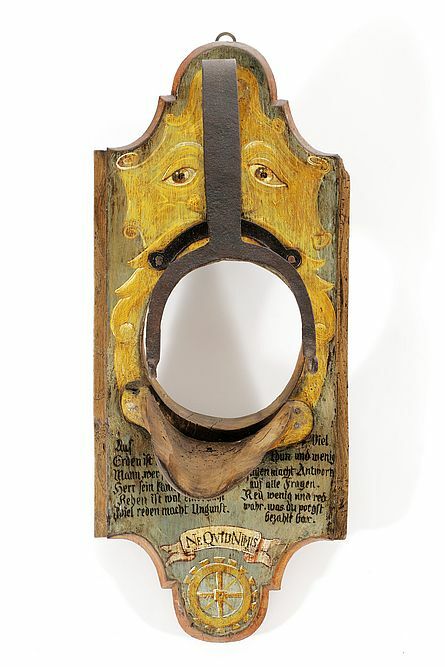 The inside is hollowed out and sharply carved flints have been fitted and fixed with pitch. Once the flint blades were set, the grain could be mown. 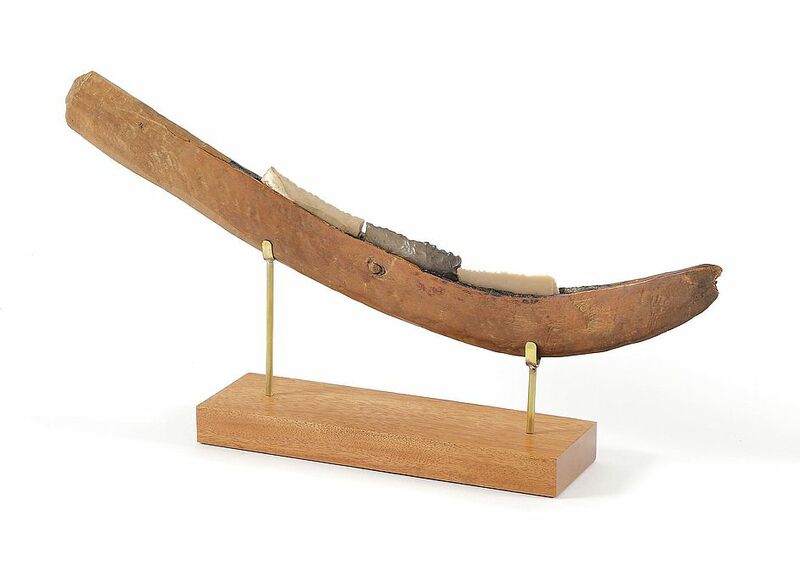 This sickle is about 7000 years old, almost as old as agriculture itself. Maize was, and still is, the crop plant of Central America; maize flour was therefore the basic component of bread, as well as the main source of carbohydrates – many centuries before Columbus. 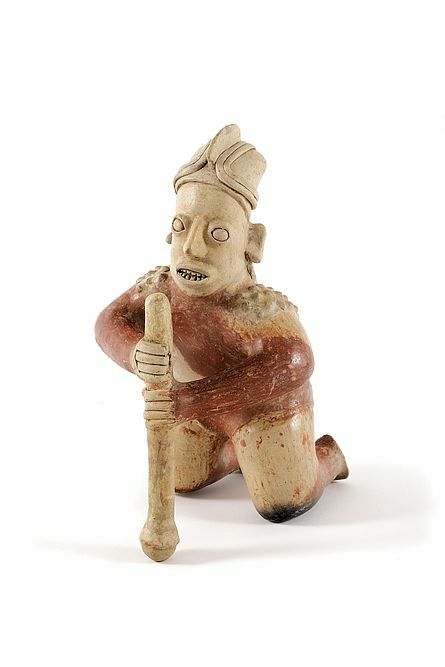 The clay statuette of a corn masher from Jalisco in Western Mexico shows how from 100 BC until 200 AD maize was ground – by the simplest means.